After you update to the latest Dropbox app, switch to Files app. Your Dropbox folder will now be in the leftmost column, along with the other sources in Files. If it’s not, tap Edit, then slide the little switch next to Dropbox to enable it. Now, if you tap the Dropbox folder, it behaves just like any other folder in Files. You can sort by name and date, add tags, get info, rename, and delete. If you drag a file from your iPad, or from iCloud Drive, into your Dropbox, then those files will be copied and uploaded. They won’t be stored locally — you’ll need to tap the little download arrow on each file to do that. Dropbox now shows up like a regular folder in iOS 11. There’s one big difference between the way Files handles Dropbox and native files: sharing. When you long-tap on a file, you get the familiar black popover bubble with all your options. 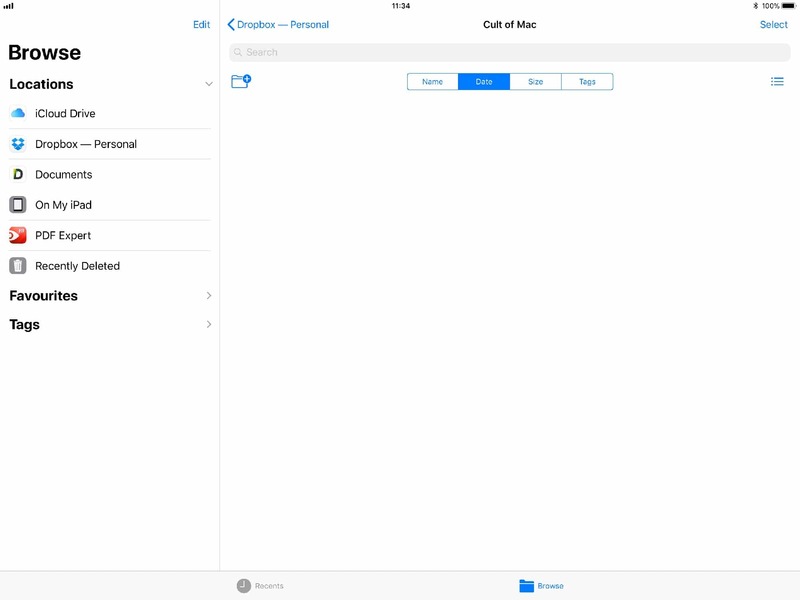 With files in the iCloud Drive, you can choose to collaborate on a file with another iOS or Mac user. 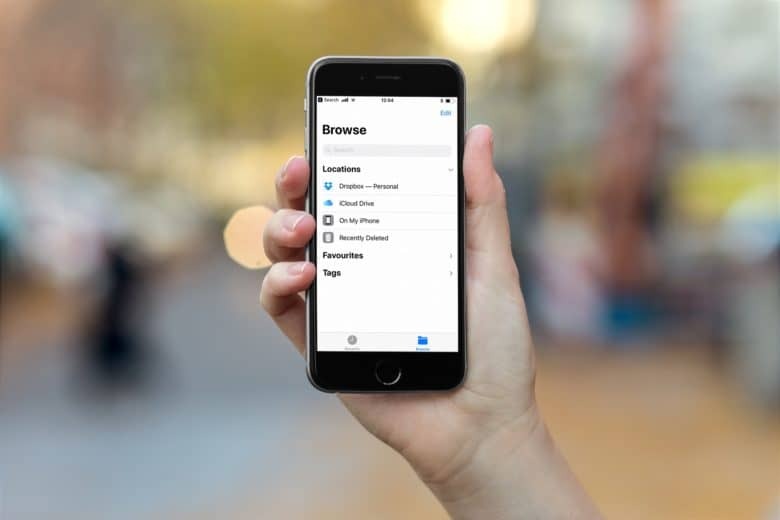 With Dropbox, choosing Copy Link will copy the Dropbox link for that file or folder to your clipboard. Then, you can share that however you like — via Mail or iMessage, for example. With this functionality, there doesn’t seem much point in even opening the Dropbox app. Just tuck it away in a folder somewhere and forget about it, unless you prefer its annoying, counterintuitive navigation to Files app’s simple structure. In some ways it is surprising that Dropbox did this. On the other hand, the big selling point for Dropbox, and arguably the secret of its early success, is that it’s “just a folder” on your computer. Now it’s just a folder on your iPhone and iPad too.